Montessori education is a non-traditional and holistic approach to working with young children. More than just academics, Montessori education aids the natural development--intellectual, physical, and social--of children, beginning from birth. The Montessori philosophy of education was developed by the Italian physician Maria Montessori in the first half of the 20th century. Trained as a scientist, not a teacher, Dr. Montessori observed children closely and methodically to learn their natural drives, desires and behaviors, an enlightening process she dubbed "The Discovery of the Child." Using her tremendous insights, she created environments specifically suited to children at their various stages of development. In this way, her schools placed the child, rather than the teacher, at the center. Dr. Montessori's most radical assertion was that children construct their own minds, and that they do so through activity. She realized that the first six years of a child's life are the most important in his development. The Child. The child's greatest teacher is within himself; he has an innate driving force that directs him to what is necessary for his development at any time. The Environment. The child therefore requires a specially-prepared environment that offers what he needs. The Montessori environment is child-sized, logically ordered, and attractive. It also contains a activities that aid the child's physical development and mental construction. The Teacher. 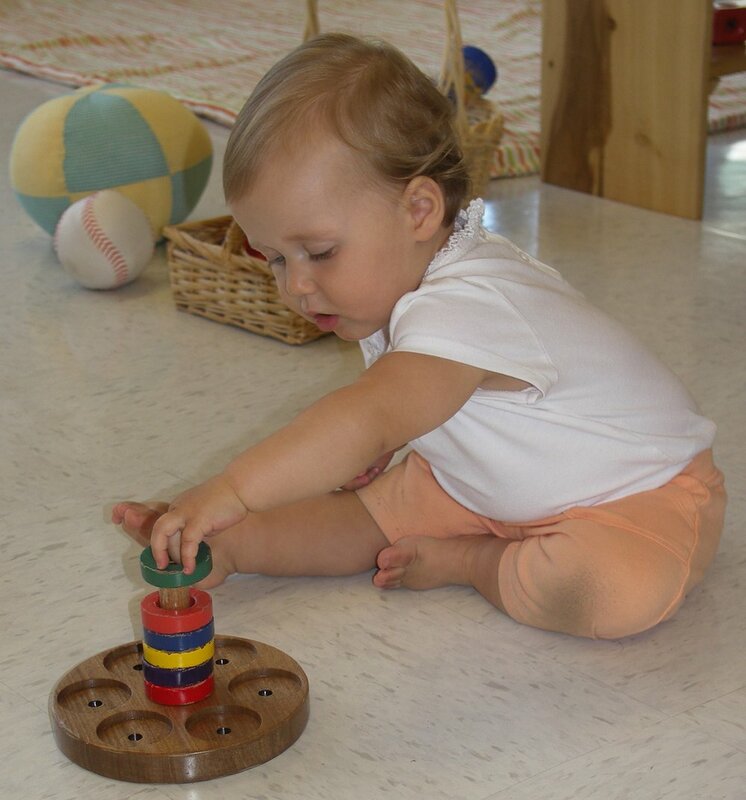 The Montessori teacher sets up and maintains the environment; observes each child closely on a daily basis to ascertain his needs; connects him to the environment through introducing the appropriate activities; then steps back to allow the child to practice and ultimately achieve concentration. She is more a guide or a director than an instructor. Practical Life. These are everyday, household activities such as personal grooming, food preparation, and cleaning. The aim of the Practical Life activities is the coordination of fine- and gross-motor skills. In turn, the child's mastery of his movements leads to independence and to the ability to sustain concentration. Sensorial Exercises. This is a set of materials designed to develop the child's five senses to their fullest. The Sensorial Materials clarify and give nomenclature to all the impressions taken in by the nervous system. Language. The language activities enrich the child's vocabulary, develop his verbal communication skills, and lead him to writing and reading through phonics. Mathematics. The Montessori math materials are a hands-on experience with quantities, arithmetic, and graphic notation. They gradually lead the child from the concrete to the abstract, thus ensuring a deep-rooted comprehension of math concepts. Cultural Subjects. The children are exposed to nomenclature in the areas of botany and zoology, physical and political geography, history and civics, art and music, and more. Social Interactions. Social development is as important as physical and intellectual development in the Montessori classroom. Grace and courtesy are regular parts of the day. Above all, the children's freedom has as its limit the welfare of the community and the environment. 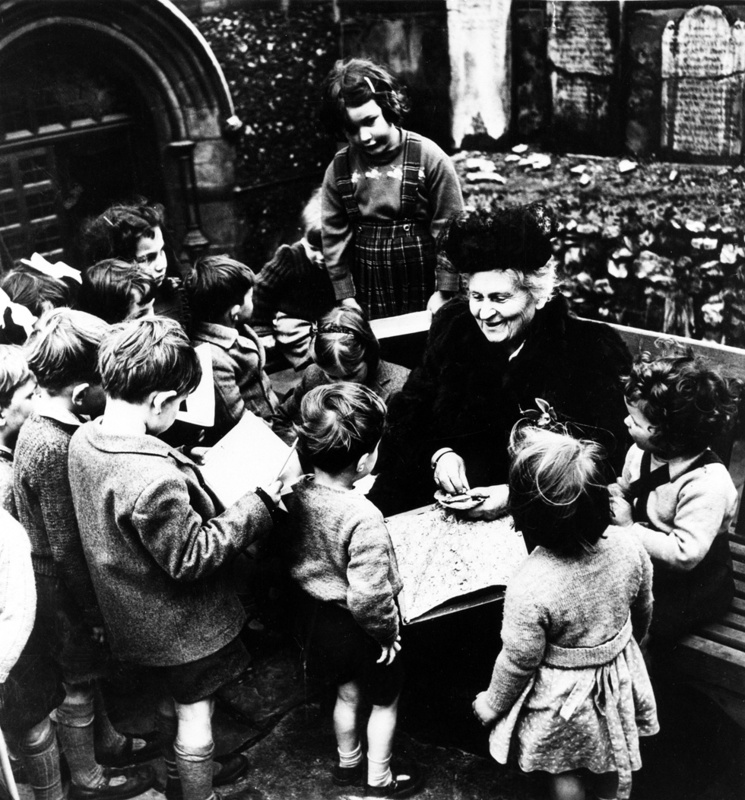 Maria Montessori was ahead of her time in championing the young child. She gave him a dignity he never had before and raised him to a new level in society. Gateway Montessori is proud to carry out Dr. Montessori's ideals by helping your children reach their fullest potential. Montessori: The Science Behind the Genius; by Angeline Stoll Lillard, Ph.D.
Understanding Montessori: A Guide for Parents; by Maren Schmidt M.Ed.